(91outcomes.com) – A small controversy has erupted involving the National Gulf War Resource Center’s conference and reunion in Dallas this August related to a previously discredited, self-proclaimed “expert” and whether or not he is slated to speak. Stories circulating on the Internet, including in an article this week at the web-based “American Free Press,” state that former Army officer Douglas Lind Rokke and so-called Depleted Uranium (DU) “expert” is scheduled to speak. For Gulf War veterans who know Rokke and his storied past, the rumors stirred up anger and emotion. The NGWRC’s conference agenda, available online on the NGWRC website, also shows that Rokke is not slated to speak. AMERICAN FREE PRESS has also learned that Doug Rokke (U.S. Army, retired) will speak on the Saturday portion of the event. He’s a well-known critic of the use of depleted uranium by the U.S. military. This radioactive metal, a byproduct of uranium processing, is used as both a munitions component for penetrating hardened targets and as armor against enemy fire. But when it’s fragmented or aerosolized during conflict, it gets into food, water and wounds and respiratory systems of soldiers and civilians. It causes cancer, birth defects and other serious health problems. Rokke also is a critic of America’s interventionist foreign policy, arguing that a string of unjustified wars has produced massive casualties that U.S. authorities barely acknowledge, let alone seek to remedy. This outspoken Vietnam and Desert Storm vet has accused those whose duty it is to help veterans of a constant “delay and deny” stance. The result is a war of attrition against vets who fight to get financial benefits and healthcare, but end up dying or deteriorating beyond help. Citing Gulf War Veterans Information Systems data, Rokke also points out that war-death statistics commonly reported to the American people are dramatically lower than the real, complete figures. This is because deaths that more or less immediately take place (killed in action) comprise most of the fatalities reported, whereas those soldiers who die later from injuries, illnesses and suicides stemming from their military service are not included in those fatality reports. This, he says, enables the government to hide the real “blood cost” of the current wars. The Gulf War veterans community generally discredited former Illinois National Guardsman and U.S. Army Reservist Doug Rokke years ago when Rokke’s sharply exaggerated claims and outright falsehoods published about his military service, expertise, and credentials were exposed. ABOVE: Doug Rokke, self-purported DU “expert,” speaking at a 2008 conference of neo-Nazi’s. Dave Von Kleist, then husband of Joyce Riley, was the Master of Ceremonies and introduced both Rokke and keynote speaker and neo-Nazi “Nordwave"” leader Alec Hassinger at the conference. 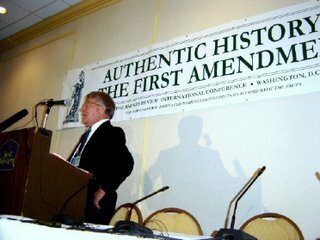 The American Free Press co-hosted the conference, later publishing Mark Anderson’s false article about Rokke’s participation cited above. BELOW: Doug Rokke was preceded in his speech at the 2008 conference of neo-Nazi’s by Alec Hassinger, chairman of the neo-Nazi, “racialist”, anti-Semitic, white Supremacist organization “Nordwave,” who is pictured below. The flag of Nazi Germany -- a sworn enemy of the United States, was defeated during WWII by the U.S. and the Allies at a cost of millions of lives -- hangs in the background at left. Meanwhile, Depleted Uranium has very real health effects, though they bear little resemblance to the wild and terrifying claims made by Rokke over the years. See 91outcomes.com’s “Health Effects of Depleted Uranium (DU): A review of recent research” for a review of recent scientific studies showing the very real health outcomes associated with DU, particularly ingested or inhaled DU. Evidence strongly and consistently indicates that two Gulf War neurotoxic exposures are causally associated with Gulf War illness: 1) use of pyridostigmine bromide (PB) pills, given to protect troops from effects of nerve agents, and 2) pesticide use during deployment. Evidence includes the consistent association of Gulf War illness with PB and pesticides across studies of Gulf War veterans, identified dose-response effects, and research findings in other populations and in animal models. For several Gulf War exposures, an association with Gulf War illness cannot be ruled out. 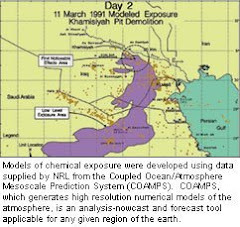 These include low-level exposure to nerve agents, close proximity to oil well fires, receipt of multiple vaccines, and effects of combinations of Gulf War exposures. There is some evidence supporting a possible association between these exposures and Gulf War illness, but that evidence is inconsistent or limited in important ways. Other wartime exposures are not likely to have caused Gulf War illness for the majority of ill veterans. For remaining exposures, there is little evidence supporting an association with Gulf War illness or a major role is unlikely based on what is known about exposure patterns during the Gulf War and more recent deployments. These include depleted uranium, anthrax vaccine, fuels, solvents, sand and particulates, infectious diseases, and chemical agent resistant coating (CARC). Even still, the RAC’s scientists and Gulf War veteran members note that few studies have been conducted on inhaled or ingested DU particulate matter, though one was funded in recent years by the Congressionally Directed Medical Research Program’s Gulf War Illness Research Program. In the 1990’s, other opportunists also took advantage of Gulf War veterans. Former military nurse Joyce Riley, whose own Gulf War military service has come under question, called Gulf War Syndrome government genocide and linked to items as farfetched as black helicopters and a conspiratorial international governments and the New World Order somehow using Gulf War troops as guinea pigs for evil plans for citizenry of the entire world. Riley found her way onto numerous television and radio talk shows, and even founded an organization called “American Gulf War Veterans Association”. Still in existence, AGWVA’s current events revolve not around helping Gulf War veterans, but predictably around publicizing Riley’s public talks – which can be attended, for a price, of course. In fact, Riley’s current events (donations unfailingly encouraged) can go as high as $40 per event to attend, according to her webpage as of the writing of this article, including to view Riley and Rokke’s co-produced, conspiratorial, sensationalist film. Riley and Rokke have generally avoided legitimate participating in the many dozens of public meetings held by federal government agencies and panels, which in recent years have finally been solidly focused on finding solutions to improve Gulf War veterans’ health and lives. In Riley’s case, however, she has translated her fear-mongering into a lucrative radio talk show, replete with a mall selling DVD’s and other items for profit. Any reasonable person who opposes Riley or Rokke or asks meaningful questions about their credibility has frequently become part of the conspiracy, and subject to coordinated attacks by Riley, Rokke, and like-minded cohorts. One of the items hawked by Riley and Rokke are their co-produced DVD, “Beyond Treason,” which purports to discuss the truth about Gulf War Syndrome. However, the falsehoods, distortions, and breathless, fear-instilling hype begin even in the DVD’s write-up. “The VA has determined that 250,000 troops are now permanently disabled, 15,000 troops are dead and over 425,000 are ill,” proclaims Riley’s and Rokke’s film summary of this 2005 film on Riley’s webpage. In actuality, only just this year did the Institute of Medicine – not the VA – determine that 250,000 veterans of the 1991 Gulf War suffer from chronic multi-symptom illness. The claim that 250,000 troops are now (in 2005) “permanently disabled” was not factual in 2005, and the claims that of the 696,842 service members who deployed to the Gulf in 1991 that, “over 425,000 are ill,” is another fabrication. Since 2008, the VA’s Research Advisory Committee on Gulf War Veterans’ Illnesses -- a panel composed of pro-veteran scientists and ill Gulf War veterans – had stated that between 175,000 and 210,000 veterans were ill. This year, instead of playing host to self-serving charlatans like Riley and Rokke, the National Gulf War Resource Center (www.ngwrc.org) instead has a meaningful, thought-provoking agenda filled with speakers who have impeccable credibility as leaders in their fields and advocacy for Gulf War veterans, and clearly have the interests of ill Gulf War veterans at heart. While attendance is highly unlikely to be in the “thousands” as Anderson inflates, or probably even in the many hundreds, it will surely be of great value to all those Gulf War veterans, families, and advocates who do choose to attend. Dr. Lea Steele, past Scientific Director of the advocacy oriented, Congressionally chartered Research Advisory Committee on Gulf War Veterans’ Illnesses, past Chair of the integration panel of the Gulf War Illness Research Program, part of the Congressionally Directed Medical Research Program conducted at the direction of Congress and housed in the Department of Defense with ill Gulf War veteran consumer advocates and top-notch scientists. Dr. Robert Haley, director of a formerly Congressionally funded research project on Gulf War illnesses. VA Chief of Staff John Gingrich, who is personally leading efforts inside VA to “Change the Culture” to improve Gulf War veterans’ health and lives. Summary. The health of Gulf War veterans in relation to depleted uranium. 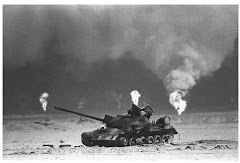 The 1990-1991 Gulf War was the first conflict in which munitions containing DU were widely used, and the possible role of DU in causing or contributing to Gulf War-related multisymptom illness has long been the subject of debate and controversy. About 320 tons of DU were used during the Gulf War and a substantial number of Gulf War personnel were potentially exposed to DU at lower levels, particularly troops who came into contact with vehicles damaged by DU munitions. The Department of Defense has indicated that at least 900 U.S. personnel were involved in incidents or activities associated with higher-level DU exposures. Health risk assessments indicate that DU exposures at levels encountered by the majority of Gulf War veterans are not likely to result in increased rates of kidney disease or lung cancer, but have not provided insights directly related to questions concerning persistent symptomatic illness. Recent animal studies indicate that DU exposure, particularly longer term exposure to soluble forms of DU, can have adverse effects on the brain and behavior. Research in animal models has also demonstrated mutagenic and tumorigenic effects of DU that raise concerns, particularly in connection with sustained DU exposures. Studies of Gulf War veterans have provided limited information concerning associations between DU and multisymptom illness and other health outcomes of interest. The extensive use of DU in current Middle East conflicts, in the absence of a widespread “Gulf War illness”-type problem in returning veterans, suggests that DU is not likely a primary cause of Gulf War illness for most Gulf War veterans. Questions remain, however, concerning long-term effects of DU in relation to other health outcomes, particularly among individuals with higher level DU exposures. These questions indicate the need for epidemiologic research to more comprehensively assess effects of DU exposure in Gulf War veterans. Editor’s note: Bunker should be praised for holding out against those unlearned few inside his own organization who still, after years of experience, try to push to have discredited, self-serving demagogues like Riley and Rokke be given a platform from which to spin and spew more inflammatory, exaggeration and lie-filled, fear mongering garbage. Preying on fears and suspicion hurts the veterans and their loved ones, and lines the pocketbooks of charlatans like these. to help improve the health and lives of the 250,000 veterans left ill from the 1991 Gulf War remains in great need of clear-minded, rational advocates to help their fellow Gulf War veterans. If you’re science-minded and want to help be part of real solutions, post your comments here, or email at admin@91outcomes.com. I’ve always been troubled when I observe Veterans belittling other Veterans. We all fought for the freedoms that this wonderful country provides its citizens, one of which is the freedom to express an opinion that may at times differ from the opinions of one’s peers. I’m disappointed that any Veteran would resort to publically labeling a fellow Veteran, any Veteran, as a “self-serving demagogue”, “charlatan”, or accuse the Veteran of disseminating “lie-filled, fear mongering garbage”. Those are very strong, divisive words that have no place in civil public discourse. Differences of opinion are just that, and on the subject of Depleted Uranium, to the best of my knowledge no one thus far has come forward with definitive scientific evidence that completely rules it out as a potential cause of Gulf War Illness. No one has yet ruled out Coca Cola either. What really amazes me is that the very mention of Depleted Uranium, when spoken in the same sentence as Gulf War Illness, seems to bring out the beast in quite a number of folks. Folks who seem to have a vested interest in disproving its connection to Gulf War Illness, at any cost. I find this to be highly intriguing. This fact alone suggests to me that I ought to keep an open mind on the subject. Whenever I sense that someone is trying to censor thoughts or discussion on a controversial topic like this (DU), I feel even more compelled to leave it on my list of possibles, until someone with the proper scientific credentials proves that it ought to be removed from the list. Until that day comes, each and every Veteran is entitled to express his or her views without fear that another Veteran, or anyone else for that matter, will attack their integrity and honor, most especially in a public forum. To do so casts dishonor on all Veterans. And that my friends, is my opinion. I'm sorry you missed the point of the article. And I'm disappointed that you have confused this article as being about DU or the relevance of DU to Gulf War veterans' health issues. First, let me remind you that as a totally and permanently disabled Gulf War veteran and Gulf War veteran's advocate myself, I have and will continue to fight hard for research funding related to Depleted Uranium exposures, particularly inhaled and ingested DU particulate matter -- along with relevant research on all other possible exposures as called for in the Persian Gulf War Veterans Act of 1998 -- seminal federal legislation I helped in a small way as an NGWRC officer at the time to pass. And, I also fought to have my home state of Wisconsin pass legislation related to DU. Second, as should now be clear from the first point in this comment, the article about which you commented is not about DU. It is about two individuals who have made repeated, verifiable distortions, exaggerations, and outright lies -- and in Rokke's case many of the Stolen Valor type -- while at the same time turning their productions into moneymaking schemes. And unlike you and me and Denise Nichols and so many other genuine veterans’ advocates, Rokke and particularly Riley have chosen not to participate in civil discourse at countless public meetings over the last two decades on GWI issues, contributing expertise or actual personal experiences. And, Rokke and Riley's distortions, exaggerations, and hyperbole have gone far beyond their own persons. Indeed, that is the point of the article: that charlatans who make money off of Gulf War veterans, hawking their unscientific, unverifiable, illogical, fear-mongering DVD's and talk shows should not go unchallenged by the Gulf War veterans they "represent". It should be quite telling that people like Joyce Riley do not bother to participate in the civil discourse related to these issues, with Congress, with the VA, with DoD, as do hard-working, diligent, upright, conscientious individual Gulf War veterans like you and me who are willing to delve through countless pages of highly technical scientific research to winnow out what is already known, and to help to direct research efforts to areas that can help improve the health and lives of the 250,000 (according to IOM's research review, not just plucked from the air like Rokke and Riley) Gulf War veterans suffering from chronic multi-symptom illness. And, Dave, my opinion is that people who make repeated public statements that are verifiably untrue should have those falsehoods exposed for all to see -- and I'll take the time to do that when they impact me and my life -- because when they distort and lie, they affect ALL OF US in the organized Gulf War veteran movement, because their lies can be repeated as fact and then, as happened in the late 90s, ill Gulf War veterans unsuspectingly repeating those distortions all get thrown out of critical policymaking circles along with the distortions and falsehoods. We saw that in the 1990's, when people like Michael Fumento had reams of falsehoods to choose from in writing his "Gulf Lore Syndrome" type articles -- but these days, he can't dispute the results of peer-reviewed scientific studies, which have been funded through the hard work of a few Gulf War veterans like you and me who have fought hard to be awarded that funding -- something that would not have been possible had we, too, lost our credibility on these issues. Finally, as I was preparing the original article to which you made your comments, I did a brief review of new DU research and I'll be writing another original article about it. And you can rest assured that unlike Riley or Rokke, I won't now or ever be distorting my military rank or service, claiming countless deaths (unnamed and unverified, in their case) directly caused by a particular substance (which of course could not be proved), just making up numbers (like numbers of Gulf War veterans who are ill, lies about numbers of and deaths of "teammates"), distortions about credentials, and so on. It is my opinion that when it comes to Stolen Valor issues and issues related to Gulf War veterans health that affects us all, that people like you and me and ALL of us involved must strive to sift and winnow and search for the truth, and to promptly discard that which is clearly false -- like the many falsehoods, exaggerations, and distortions purported by Rokke, who would of course like everyone to believe that anyone opposes him simply doesn't believe in the DU issue. I recognize the DU issue for what it is -- that some Gulf War troops were exposed, and most were probably not. And as an aside -- for me, I will likely never forget the day when in Kuwait in 1991, a few days at most after the end of the Gulf War, a buddy thought it was funny to blow the black dust off of some destroyed Iraqi artillery and I inhaled it through my nose, the iron-like smell staying there for about three days, blowing and blowing not seeming to be able to get it all out. My story can't be verified (unless I find the guys I was with AND they remember it -- back then, most of us had never heard of DU). And, I provided public testimony about this exposure to the Wisconsin state legislature while pushing our state's DU legislation, which ultimately passed. So again, I'm sorry you mistook this article for being about DU, because it most certainly is not. Watch out author of this article. Joyce Riley, Dave vonKleist and their cohorts will not only smear you, but they will do it using other names, and with fake credentials, so that you can never tell the truth, or be believed. You will spend your time defending against their attackers instead. I can't say DU is really an issue. Joyce Riley and Dave vonKleist started long ago, with biological and chemical weapons, which was not true. The Late Great Peter Kawaja had the real story and Joyce Riley and Dave vonKleist were sent to bury this story and they eventually killed Kawaja and have his name and likeness to defame anyone who talks about the real evidence. With every exposure of Joyce Riley and Dave vonKeist, they changed their story on what happened in the first Gulf War. Once they could not bare the continued exposure and all their stories were falling apart, they cam up with DU and divorced, and Dave vonKleist had to leave due to the extreme truth of who he really was. They had other radio hosts build Joyce Riley back up and went with the DU version. I am not saying there are not problems with vaccines, government's insistence in using our military for their own purposes, and things of that nature, but don't be fooled. DU could be a problem, and in theory, any radioactive compound has serious consequences if used outside the scope of safety, but all of these stories were used to keep the truth away. The truth that the late peter kawaja had (who started the agwva. . .who was silenced, his evidence buried, and he was eventually isolated and killed and his name defamed, and then they use his likeness to defame and attempt to destroy anyone who speaks of it. That is the real story. If you go to hanoijoyceriley.com and davevonkelistdisinformer.com, there is still some information available that these traitors have not destroyed yet. These people are not just shysters, they are very dangerous.